Jobs-Housing Balance: What Does It Mean? The phrase "jobs-housing balance" is sometimes thrown around as a concern for cities. But what exactly does it entail? The answer to that depends on the applied perspective. From an affordable housing viewpoint, the balance is about ensuring that housing in a community is affordable to people who work in that community, including some of the most important members of the public workforce: e.g., teachers, police officers, and firefighters. 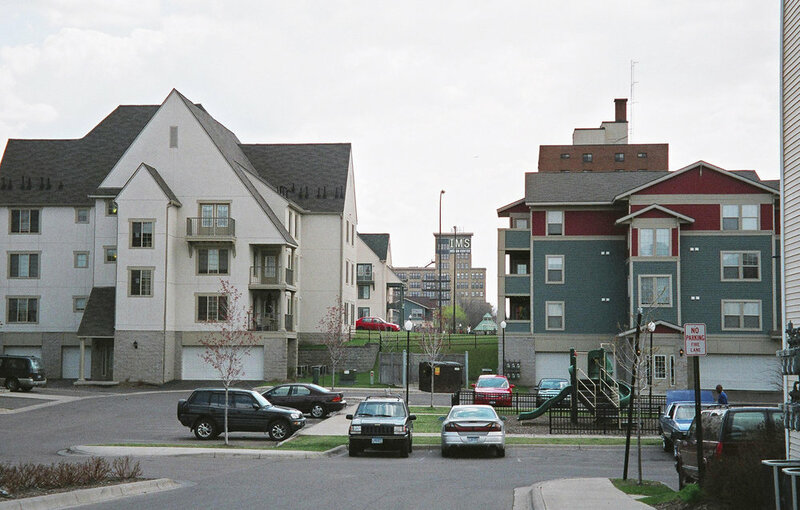 This idea is often called workforce housing. The levels of affordability for workforce housing can be higher than other forms of affordable housing because the benefit is intended for families with employed adults earning mid-level wages, rather than retired seniors or low-wage workers. RSG's work in the affordable housing realm covers different aspects, including financing, monitoring, and residual receipts analysis. In a fiscal impact analysis, the jobs-housing balance is a consideration instead of a concern. Different cities provide different levels of service to their residents and businesses, so the fiscal impact of a new development should rely on current levels of expenditures. To ensure that neither residents nor workers are overweighted, they can be converted to a common element, typically described as "full-time equivalent residents." The RSG team is currently performing a fiscal impact analysis for a proposed development in a city with a significant amount of commercial land uses and is incorporating this approach to estimate the fiscal impact of the development most accurately and fairly. From the perspective of enhancing the business environment, the jobs-housing balance refers to the match between the skills available among the existing local workforce and the requirements of local employers. RSG is currently preparing an economic development strategy for a city, and our initial research suggests a mismatch between the city's residents' skill levels and the needs of the types of businesses that are most prevalent in the city. The residents generally don't have advanced degrees or specialized training, yet the city is strong in professional, administrative, and advanced manufacturing employment, which often require higher skill levels. The city wants, as it should, to retain and attract more of these types of businesses. But it doesn't want, as it shouldn't, to displace or alienate its residents. Potential solutions include working with local colleges and business networks to enable current residents to achieve higher levels of education and skills training, investing to retain businesses that employ local residents, and coordinating with transit providers to improve transit service for residents working outside of city limits. These are just some possible pieces of the solution puzzle, which will be fit together with other pieces through further research and communication with the city's leaders and other stakeholders to understand their goals and sensitivities more thoroughly. Jobs and housing are basic components of economic development. The existing or desired balance between these two components means different things, depending on the framework in which they are discussed. RSG is familiar with many of these frameworks and can help cities and developers to better understand, explain, and act upon the jobs-housing balance as it applies to their situation. Written by Dima Galkin who is a Senior Analyst at RSG.